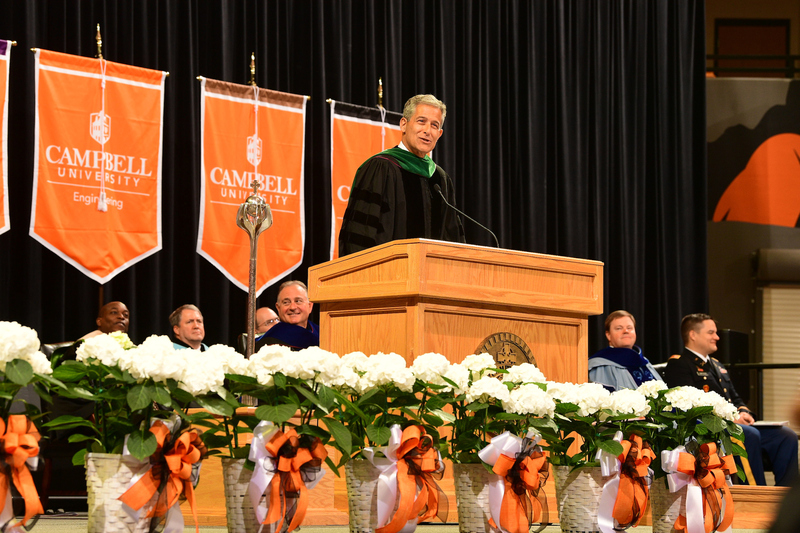 Dr. Richard Besser took a different approach to his commencement address at Campbell University’s 132nd spring commencement Saturday — advice first, the stories second. Besser’s advice: Don’t be afraid to wander off course and try new things. In our GPS world, we’re too focused on the straight line between two points, and we forget to stop and look around. 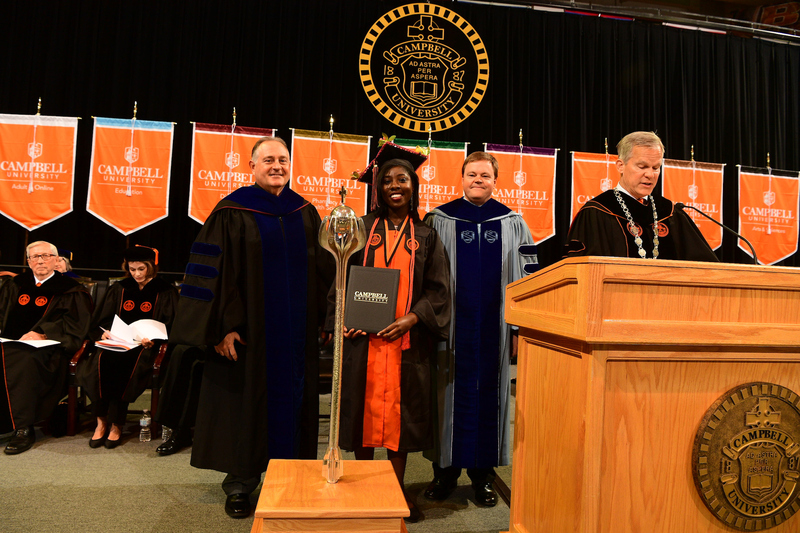 Besser spent the next 15 minutes of his address sharing stories of his off-road adventures at Saturday’s main campus commencement, the fifth of six total ceremonies hosted by Campbell over a three-day span. 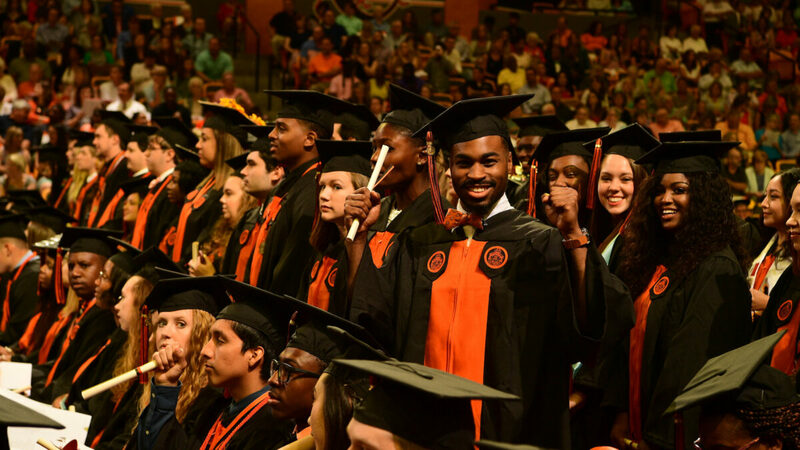 This ceremony was the largest of the six, featuring the majority of Campbell undergraduates from the College of Arts & Sciences, as well graduates from the School of Education and the Lundy-Fetterman School of Business. 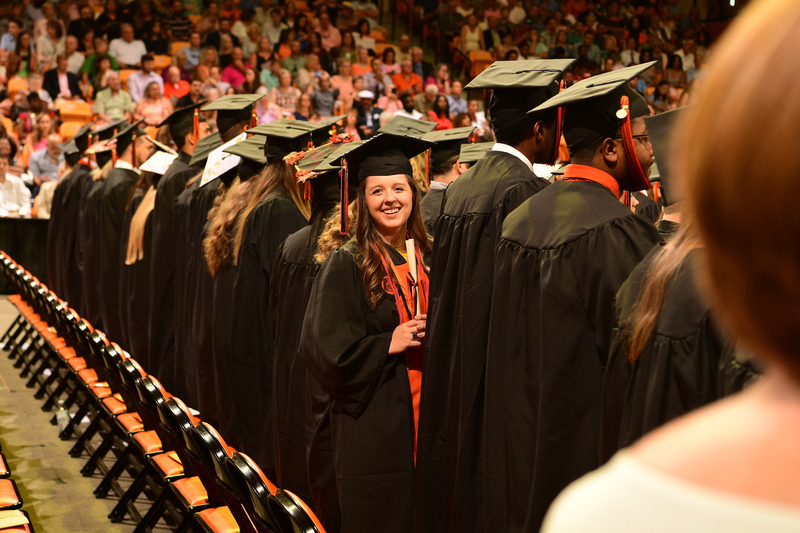 In all, 1,258 Camels earned their degrees this weekend, and 1,629 this academic year. Besser shared with a packed Pope Convocation Center Saturday the story of his medical residency while a fourth-year med student at a hospital tucked within a rural HImalayan village in Manali, India. The physician overseeing the hospital left a young Besser in charge as he left for a weeklong meeting, but not before teaching him how to perform a Cesarean section “just in case,” as the nearest hospital was five hours away. Of course, this knowledge was needed toward the end of the week. Besser performed an emergency C-section and delivered a healthy baby girl — the entire time hearing the prayers of the staff and the hospitals church. It was Besser’s first and last solo surgery, and it was a turning point in his life. 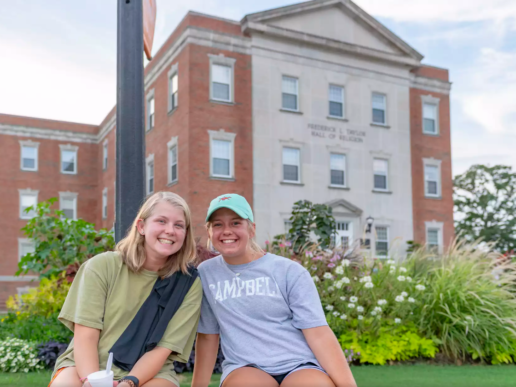 The Class of 2018 were freshman in 2014, a period of unprecedented growth for Campbell University. 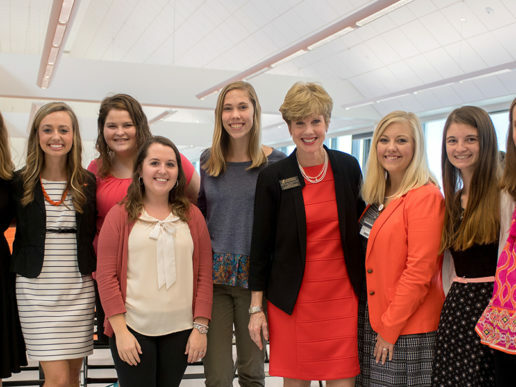 Over the past four years, these students have witnessed new programs (engineering and nursing), seen new buildings (Hall of Nursing & Health Sciences, new admissions building, improvements to athletic facilities) and saw the inauguration of just the fifth president in Campbell’s 131-year history. Besser concluded his speech with the story of a light, though meaningful moment in his life, sharing sweet potato fries with a mother and her young children in a developing African nation while working with ABC News. The leading cause of preventable blindness in children, Besser says, is Vitamin A deficiency. Orange foods like sweet potatoes are rich in Vitamin A, but the sweet potatoes grown in Africa are white. Through the Hellen Keller International nonprofit group, a hybrid white and orange potato is now grown in this part of the world, and on this day, Besser shared these hybrid potatoes with the small family. 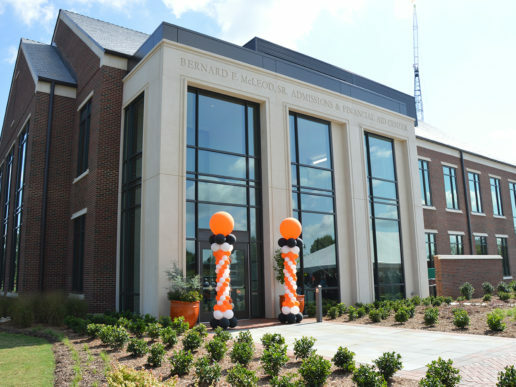 “The woman who fried them up was teaching others in her community the values of going orange — something we all know here at Campbell University — and as I sat there, something about the simplicity of this solution made me smile,” Besser said. Besser now heads the Robert Wood Johnson Foundation, the nation’s largest public health philanthropy and the major supporter in Campbell’s recent launch of its Rural Philanthropic Analysis, which studies the most impactful uses of money donated to rural health causes. We’ll just let the video speak for itself.